EDGE Innovate are proud to announce that GreenRock Equipment have been appointed as the exclusive distributor for the entire EDGE Innovate product range in California and Hawaii. From their base in Orange County, GreenRock Equipment concentrate solely on providing the EDGE Innovate product range to the surrounding area and throughout the states of California and Hawaii. This singular focus provides a great base for EDGE Innovate and GreenRock Equipment to provide the correct products, solutions and customer service to ensure optimum production. With the co-founders of GreenRock Equipment, Shea McKiver and John Connolly, being former trusted employees of EDGE Innovate; their combination of field and factory experience leaves them with a wealth of knowledge of both the EDGE product portfolio and the wider construction, quarrying and recycling industries. Greenrock Equipment will offer the complete EDGE range of equipment including mobile and tracked stackers, feeders, radial truck unloaders, roll-sizers, trommels, grinders, flip flow screens, air separators, fines recovery plants and sorting stations to the Californian and Hawaiian markets. 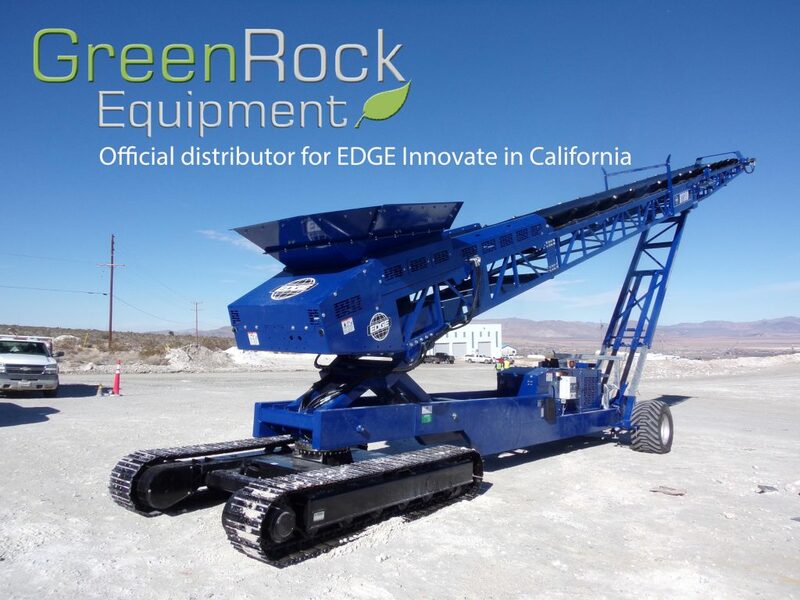 “GreenRock Equipment is delighted to combine with EDGE Innovate to provide a wealth of solutions to a range of industries in the Californian and Hawaiian area. Our decision to concentrate on the EDGE brand is due to the belief that EDGE products can work just as effectively as a single item or seamlessly with products from other suppliers to provide problem solving solutions. This concentration on the EDGE brand will allow us to dedicate our time to providing high levels of customer service and providing the ideal equipment for each customer’s individual needs.” Shea McKiver – GreenRock Equipment Co-founder.